The Department of Food & Public Distribution is implementing a Plan scheme on “End-to-end Computerization of Targeted Public Distribution System (TPDS) Operations” which includes digitization of ration card/ beneficiary and other databases. 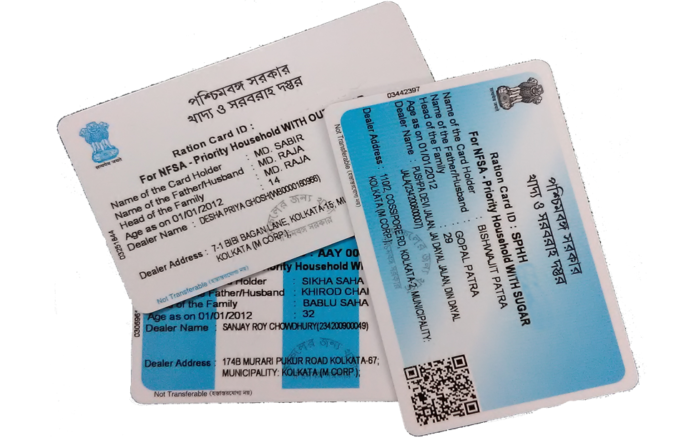 The digitization of ration cards is already completed in all States/UTs. The Online Allocation has been implemented in 29 States/UTs and two UTs Chandigarh and Puducherry have fully adopted DBT Cash for foodgrains. The online allocation is not implemented in the remaining five States/UTs namely Arunachal Pradesh, Meghalaya, Mizoram, Nagaland and Lakshadweep. These States/UT are hilly & remote areas having tough geographical conditions and connectivity issues. The scheme has been extended by one year i.e. upto March, 2018. v FCI is implementing the Depot Online Project to automate all the operations at Depot level with the vision to “Transform the food supply chain management through innovative use of technology for ensuring transparency, reliability and efficiency of procurement, storage and distribution operations”. The objectives of the project also include Standardization and automation of depot level processes, efficiency improvement in management of food grains storage and distribution, enablement of real time monitoring of operations, timely data reporting, data based decision support system and effective planning and optimization of administrative work. The project was launched in 31 Depot across 27 States on 17th March, 2016 and it is under implementation in all 531 Depot of FCI. The Depot Online system is operational at 508 depots.